Was doing some truck hunting on Sunday (11th March 2012) and to my surprise found the 'Bharat Benz Dealership' getting ready on the Bangalore outskirts after Nelmangala on the Tumkur highway. 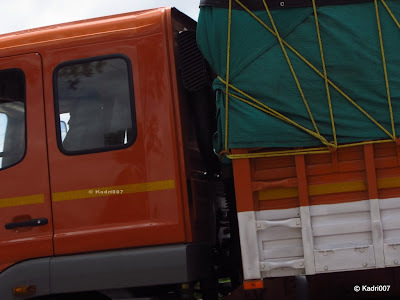 24th June 2012, Sunday was on a truck hunting mission along the Bangalore - Tumkur road. 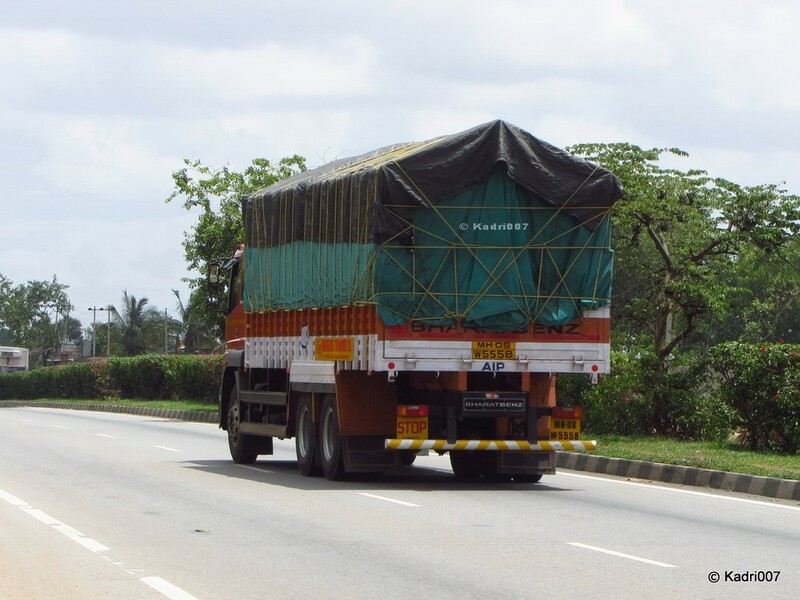 Not many exciting trucks on the way. 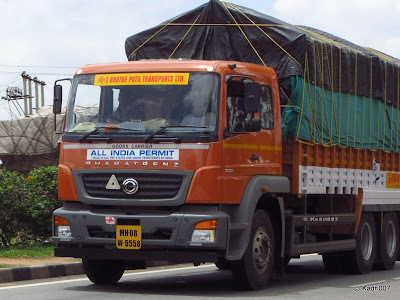 Got a few Mahindra Navistar trucks. 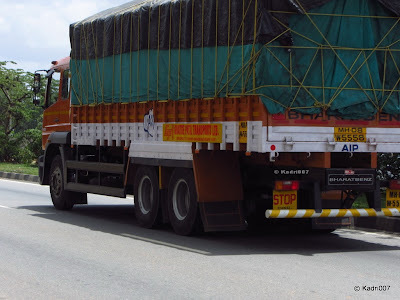 I have been waiting to catch a glimpse of Bharat Benz truck from la very long time and was hoping to capture a passing Bharat Benz truck on the outskirts of Bangalore. 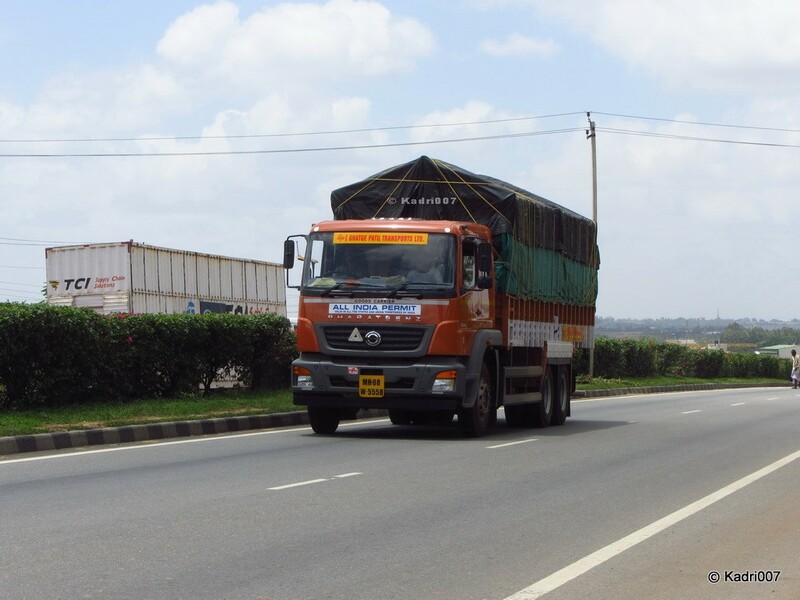 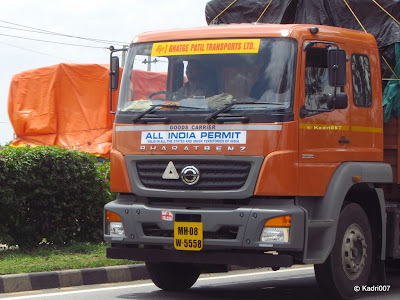 Generally many new trucks bypass Bangalore through the NICE Road. 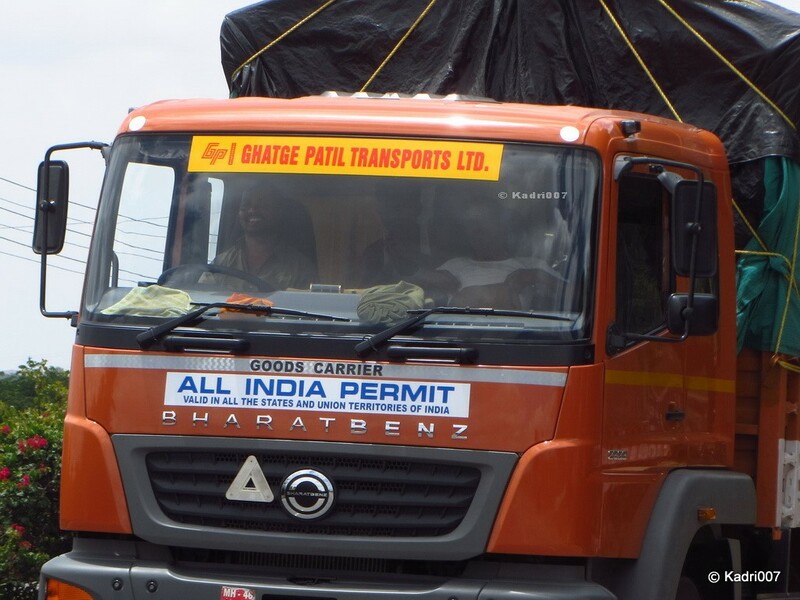 But there were no signs of any Bharat Benz trucks on the move. 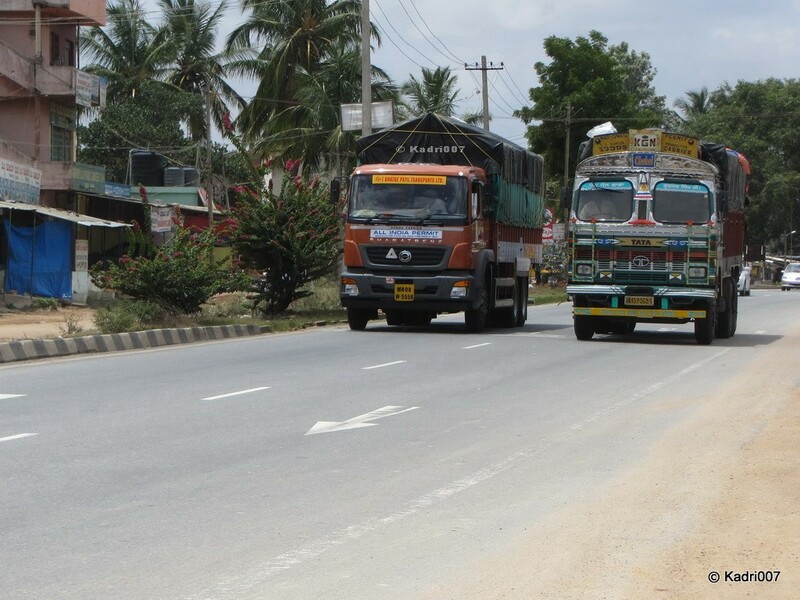 So decided to head out of Bangalore further on the Tumkur road. 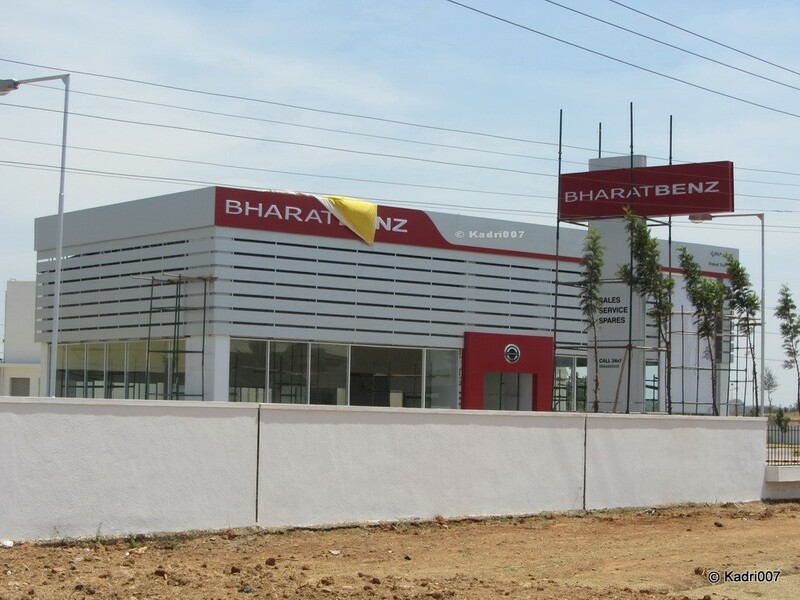 There is a Bharat Benz Dealership which has come up, hence was expecting to capture a Bharat Benz truck in the new showroom. 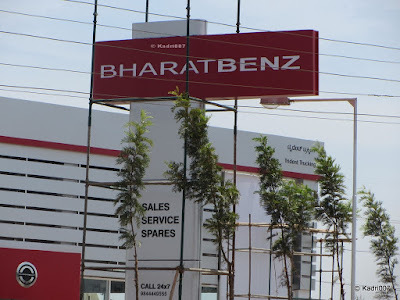 But there was no signs of Bharat Benz truck anywhere. Disappointed, I went further on the Tumkur road to catch some interesting trucks, but the Truck hunt was nothing exciting.Was already 40 KMS out of Bangalore and was thinking to take a Turn back to Bangalore. All of a sudden a brown truck appeared from far could not make it, but as it came near finally it was the Bharat Benz truck. 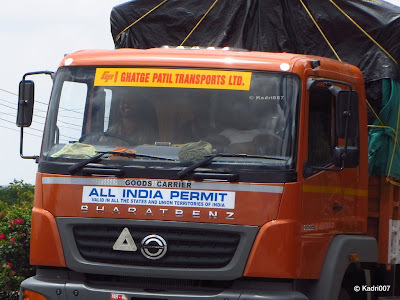 More than that the Bharat Benz truck was from my all time favorite company Ghatge Patil Transports Ltd. I was super excited, but the truck just vanished. 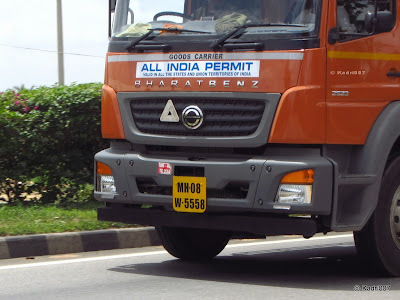 Got only a pic. 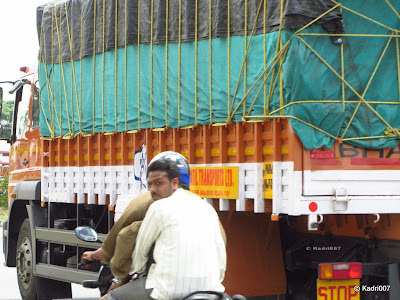 Quickly I took my bike and started chasing it. The truck was cruising easily at 70 KMS per hour speed with full load with absolute silence. Seeing the truck from near ... Only One word comes.. Wow....the built quality is amazing and its fit and finish is excellent. 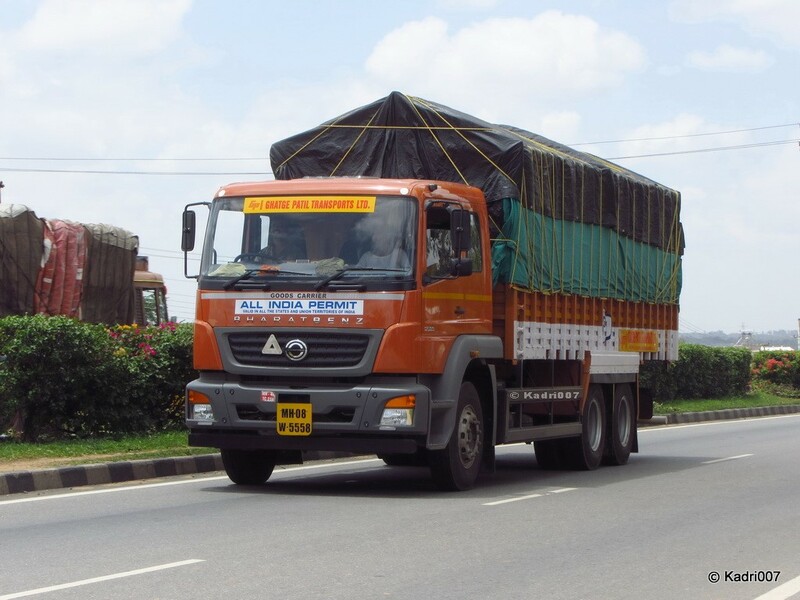 One of the best trucks seen on the Indian road. 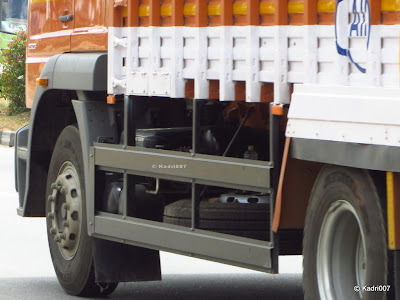 The first thing you will notice is the truck is very silent and smooth. Really a brilliant job from Bharat Benz.. Rest of the story in the pics below..
Wow... that's Bharat Benz Truck... Just cant believe it. 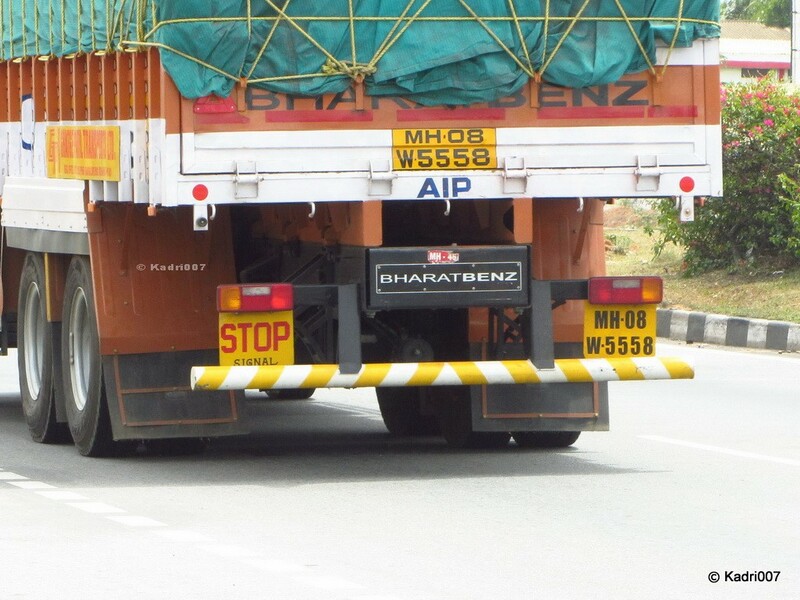 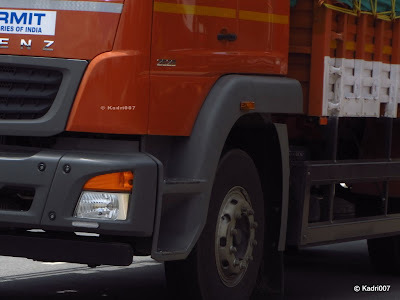 Bharat Benz truck just cruises with silence.. The trucks looks solid and looks like it has radial tyres. Truly designed for Indian roads..